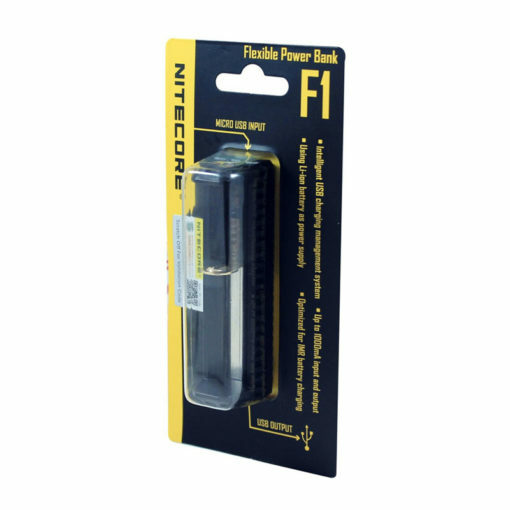 The new Nitecore F1 FlexBank charger is an innovative, well designed outdoor power source that is ideal for use when you are out and about. The charger is capable of charging a USB device and storing power in the battery at the same time. When the input current is not sufficient, the F1 will prioritise the charging of the external device and store surplus power in the battery. The F1 can charge a range of Li-ion batteries and is compatible with Li-ion/IMR cells: 26650, 18650, 18490, 17670, 17500, 17335, 16340 (RCR123), 14500 and 10440. The FlexBank can also receive power from an external device, such as a solar panel, through the charger’s Micro USB port. In addition, it can charge external devices such as mobile phones via the 1A current Micro USB port. The F1 has an array of beneficial features including a smart multimeter which reports battery voltage, accurate to 0.1V, with blinks when a cell is installed. When in power bank mode, the indicator LEDs display the battery power and charging status in different patterns. The FlexBank automatically identifies the battery type and selects the charging current and mode accordingly. 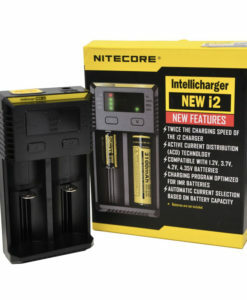 It reports battery voltage upon installation of the cell on the smart multimeter and activates over discharged batteries.